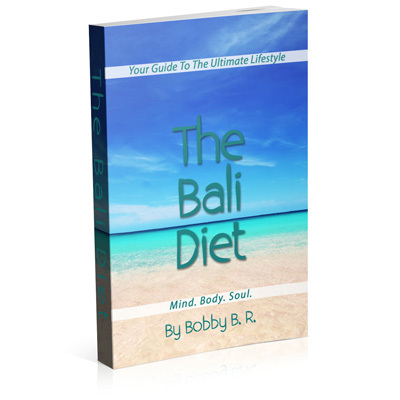 The Bali Diet is a lifestyle that has, for decades, been practiced by celebrities, politicians, sports figures and top business personalities. It has remained a secret amongst the elite, until today. Now the secrets to a stronger, happier and stress free life are revealed. It is truly the blueprint for individuals from all walks of life to utilise. In this amazing book, you’ll not only find tips on how to slow down and be more mindful. Included are also more than NINETY recipes of wholesome, delectable meals that can be prepared in under 30 minutes! We hope you enjoy the book as much as we did, getting it ready for YOU.